Major depressive disorder, also known as unipolar, clinical or major depression is a mental disorder that is characterized by a persistent feeling of sadness or a lack of interest in normal activities and relationships. The condition can affect how an individual feels, thinks and behaves, sometimes leading to a variety of emotional and physical problems. Several factors play a role in clinical depression including genetics, biochemistry, personality and environmental factors. Drug and alcohol use, as well as certain medical conditions such as cancer, brain tumor, thyroid problems or vitamin deficiency, can mimic symptoms of depression, so it's important to rule out general medical causes. Fortunately, major depressive disorder is well understood by medical professionals and is often treatable through a combination of medication and talk therapy. Some lifestyle adjustments can also help ease specific symptoms. 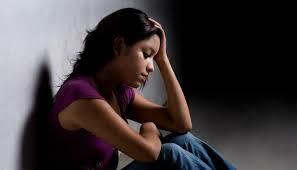 If you or a loved one are suffering from depression to call us at 716-886-5493 or Contact Us Today. For those experiencing mild forms of depression, psychological treatments (or talking therapies) are often the first thing to try to help you manage the condition. A Buffalo psychiatrist can help you understand your diagnosis and how it impacts your life, helping you develop strategies that decrease the severity of the symptoms. Medications called antidepressants are often used to treat moderate-to-severe depression. These can only be prescribed by your GP or psychiatrist. Antidepressants function by altering levels of a group of chemicals - serotonin, norepinephrine, and other neurotransmitters in the brain. Each situation is unique, and an individual must go on their own medication journey. For those that fail to respond to psychotherapy and antidepressant drugs, a healthcare provider may recommend Electroconvulsive therapy (ECT) or other brain stimulation therapies. It's often used in severe cases or emergency situations, such as imminent suicide. In addition to receiving professional help, lifestyle management is vital for all patients with depression. It could include regular exercise, healthy diet, sleep hygiene, stress management strategies, avoiding substance abuse, keeping a daily mood chart, etc. Early intervention is crucial in the treatment of major depressive disorder and depressive disorders. If one seeks the necessary support and treatment early on, the depression can be stopped before it takes over your life. When left untreated, the situation can continue to become more severe and have adverse effects on your quality of life. If you or your loved one is experiencing a depressive episode, it's important to seek help from your primary care physician or a mental health professional. Whenever you feel unsafe, call an emergency center immediately.